The weather outside is far from frightful, which means winter in Greater Palm Springs is oh-so-delightful. Here, we stuff our stockings with sunshine, wrap our palm trees with twinkling lights and swap hot chocolate by the fireplace for chilled cocktails by a glistening pool. The season is filled with fun ways to celebrate the holidays under the sun, so get ready to find festive new holiday traditions in Greater Palm Springs. Nothing captures the sweet scents and imagination of the holidays better than gingerbread creations—from Dr. Seuss whimsy to walk-through wonderlands. At the JW Marriott Desert Springs Resort, the over-the-top holiday experience includes the resort&apos;s first-ever life-size gingerbread house made with 6,000 gumballs, 800 pounds of gingerbread dough, 300 pounds of icing, candy cane columns, a rooftop topped with endless lollipops, and gigantic gingerbread people. Pastry Chef Dominique Valenzuela partnered with La Quinta High School&apos;s Culinary Institute to create this incredible edible creation. At Omni Rancho Las Palmas Resort and Spa, Chef Neri Tiburcio brought 25 years of gingerbread crafting experience to the resort&apos;s masterpiece. This year, he has recreated the beloved Dr. Seuss story, “How the Grinch Stole Christmas.” The chef incorporated 48 pounds of frosting, 150 pounds of gingerbread dough and 10 pounds of chocolate and syrup into Whoville. The work of art took more than 140 hours to complete and will be on display in the resort lobby until Christmas. Plenty of holiday spirit is also on display at Ritz-Carlton Rancho Mirage, where the resort&apos;s engineering and culinary teams created a new gingerbread classic. The California State Fare theme is a whimsical take on this holiday staple. Even the wildlife gets into the holiday spirit in Greater Palm Springs. 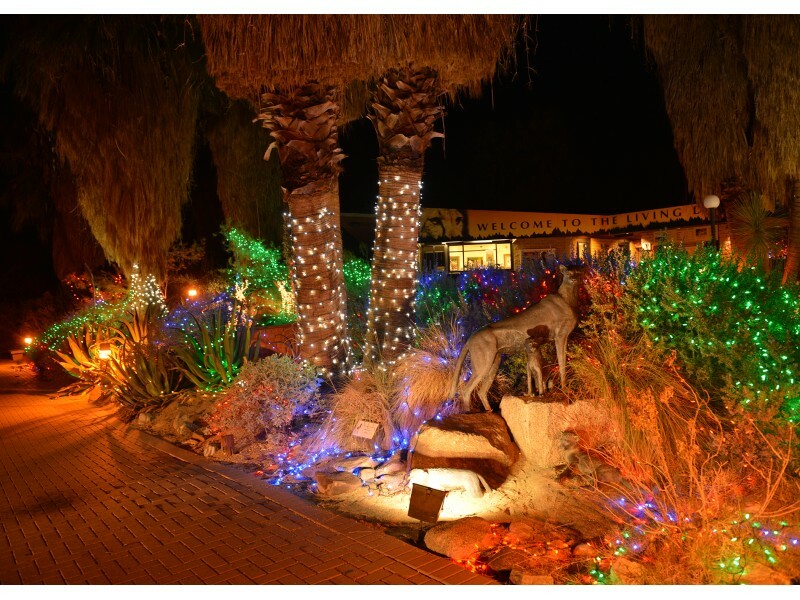 Every winter, The Living Desert transforms into a festive winter display complete with seasonally themed animal encounters, hot chocolate, carousel rides, Santa appearances and, of course, lights! In fact, more than a million lights illuminate the park during WildLights. Wander through twinkling tunnels and under illuminated palm trees as you discover the wild side of the season on select nights through Dec. 24. Discover the spirit of the season as you glide across the ice at The Rink at The River this winter. This outdoor ice skating rink in Rancho Mirage brings a holiday favorite to the oasis, where families can rent ice skates and enjoy the magic of the rink. Seasonally themed entertainment make this a holiday must this season. The oasis lights up all winter long with the twinkling lights of the holiday season. Throughout the season, you’ll also find beautiful, illuminated sights to see around La Quinta Resort & Club, El Paseo in Palm Desert and, of course, Candy Cane Lane on Minerva Road in Cathedral City. 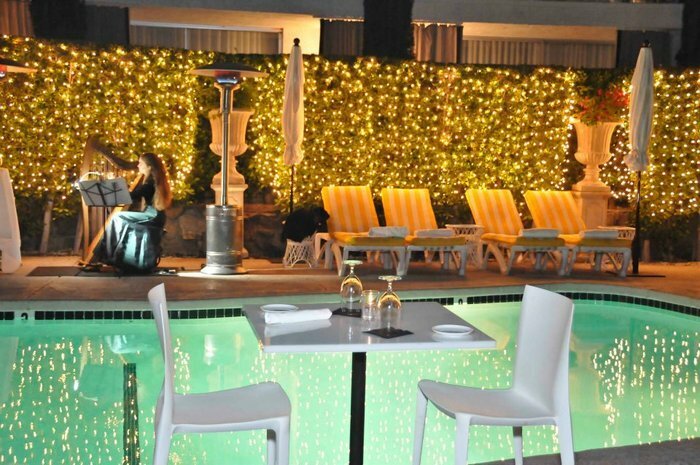 The hidden charms of Palm Springs’ boutique hotels are on full display during this annual event. Dozens of intimate properties open their doors to the public, revealing midcentury-inspired décor, stunning architecture and the spectacular history behind these iconic hotels. Owners and hosts greet you at every property along your self-guided tour, so grab a map at the Palm Springs Art Museum and get ready to discover the enchanting allure of the small inns of Palm Springs. Looking for more festive fun this holiday season? Don’t miss these favorite things to do in winter in Greater Palm Springs.